Neuviz Convergence Networks is a leading network provider specializing in helping small- and medium-sized businesses deliver cost-effective communication solutions. We enable businesses to extend their networks in fixed networking, VSAT, Internet, Wide Area Networking, VPN and website hosting. Neuviz’s relationships and partnership agreements with major players in the telecommunication industry means businesses can connect their networks and data centers to all offices and locations regardless of geographical location. Currently the 3rd Indonesian Internet Exchange (IIX - 3) is located in NEUVIZ Data Center. The connectivity between NEUVIZ networks and IIX –3 is 1 (one) Gigabit per second (1024 Mbps), and connectivity between NEUVIZ’s networks and OpenIXP is using fiber optic at 10 Gigabit per second (10 Gbps), we also connected our networks to one of promising exchange in south east asia which is MCS-IX, MCS-IX is connected to Major exchange in asia like Equinix-IX and HKIX, while having another private peering to Google, Yahoo, Akamai and other world classa content provider. NEUVIZ is peering with STIX, TATA Telecommunication and Equinix Internet Exchange using Matrix Submarine Cable System as a main International Backbone. The backup of the International Backbone, NEUVIZ is peering with Indosat using APCN and SEAMEWE-3 submarine cable. 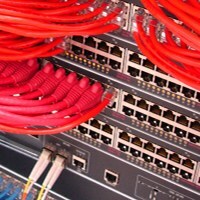 Our team of professionals have extensive experience in the planning, designing and deployment of infrastructures, including networking, VSAT, Internet, VoIP, ISP, Fiber Cabling, Metro Ethernet, Wide Area Networking, network security, VPN, website design and hosting, Internetworking as well as ICT consultancy. We operate an “open access” network 24 hours a day and seven days a week, giving users the choice of multiple service providers. In addition, we manage our networks in an open, non-discriminatory and transparent way.